Vote for your favorite canna to win! Tesselaar is giving away a $100 visa gift card just for voting./sharing your favorite Tropicanna Canna variety. All you have to do is pin a photo on Pinterest. 2. Tell us you entered by making a comment at the bottom of the post on the page above. Note: The selected winner will have 48hrs to respond. If we do not hear back from you we will select another winner. Shopping for a hydrangea can be like an expedition into foreign territory. There are so many types and flower forms and colors that it is a wonder anyone is able to figure out which way to turn, let alone choose a selection. Okay, I know there are hydrangeas for all situations, but what I’d like to suggest today are two choices (both natives) that simply grow like gangbusters and have real presence. By “presence” I do mean flowers and flowers and more flowers. 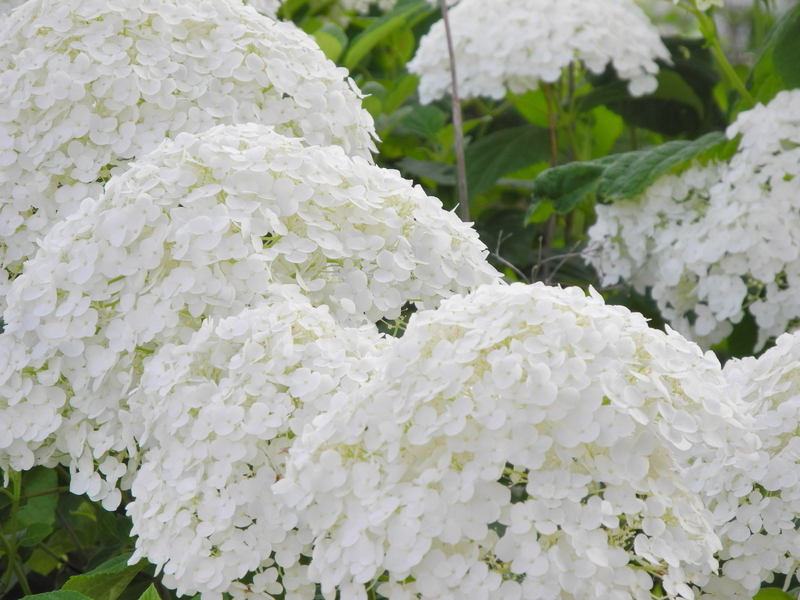 The first, Incrediball® is an improved ‘Annabelle’ with big white blooms that are roughly four times as large as ‘Annabelle.’ This smooth hydrangea (Hydrangea arborescens) is hardy to Zone 3 and AHS 9, and grows to a sizable four to five feet tall. Be sure to give it plenty of room. Next is a pink ‘Annabelle’ called ‘Invincibelle® Spirit,’ and this colorful and hardy selection can be grown from Manitoba to Mobile. That southern range is for AHS 9, and no doubt that includes portions of North Florida as well. Non-stop brilliant pink mop-heads continue to flower all season. Not only that but $1 from every sale of this hydrangea goes to The Breast Cancer Research Foundation. ‘Invincibelle® Spirit’ forms a three to four foot mound. Garden standbys, hostas come in a variety of colors and sizes from tiny selections suitable for rock gardens to huge numbers with umbrella-sized leaves. There are hostas with multicolored foliage, ruffled and rippled foliage, some with stunning blooms, even fragrant blooms. The blue-ish varieties come with a built-in wax coating on their leaves which helps them in two ways. No. 1 is that these hostas tend to be a bit more sun tolerant, and No. 2 is that they possess a slightly better resistance to slugs and snails. 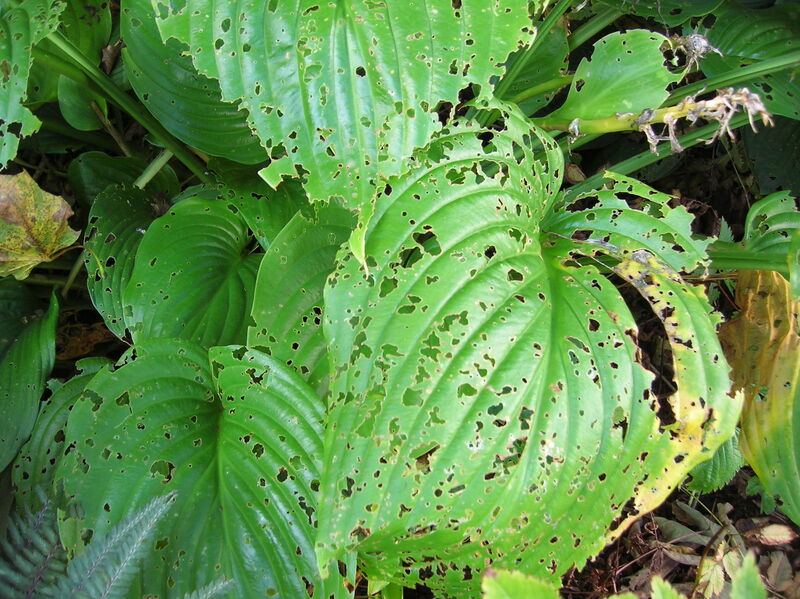 Indeed hostas are a prime target for those slimy slugs and snails. But of course you don’t want to resort to harmful chemicals to keep them under control. Relax, there’s a quick and simple cure that can be mixed from items most of you already have on hand. Zap slugs and snails with a mix of plain old household ammonia and water. 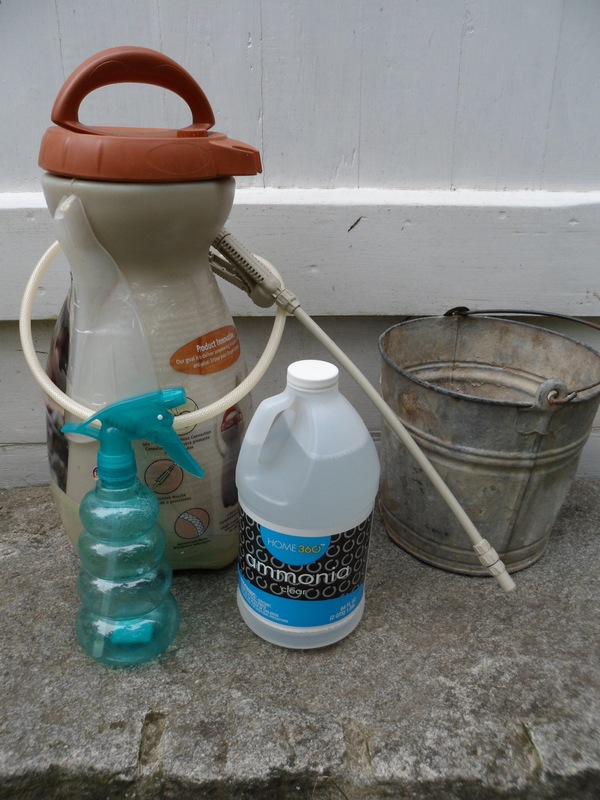 That’s right, just combine three parts water to one part ammonia and spray the creepy crawlies away. Best time to spray is early evening when they are out and moving around. The spray must touch the slugs/snails in order to work and does not provide any residual benefit. So you may need repeat sprayings to control a bad infestation. But, trust me, you are going to love using this simple concoction! The slugs and snails literally turn to mush before your eyes with this simple spray that does not harm hostas and most other plants. (One exception is the bleeding heart/Dutchman’s britches group of plants.) If there are any doubts, try it on an inconspicuous spot first. It may look like an exotic hydrangea, is sometimes called the “false hydrangea” and thrives in similar circumstances, but Deinanthe caerulea is something else entirely. 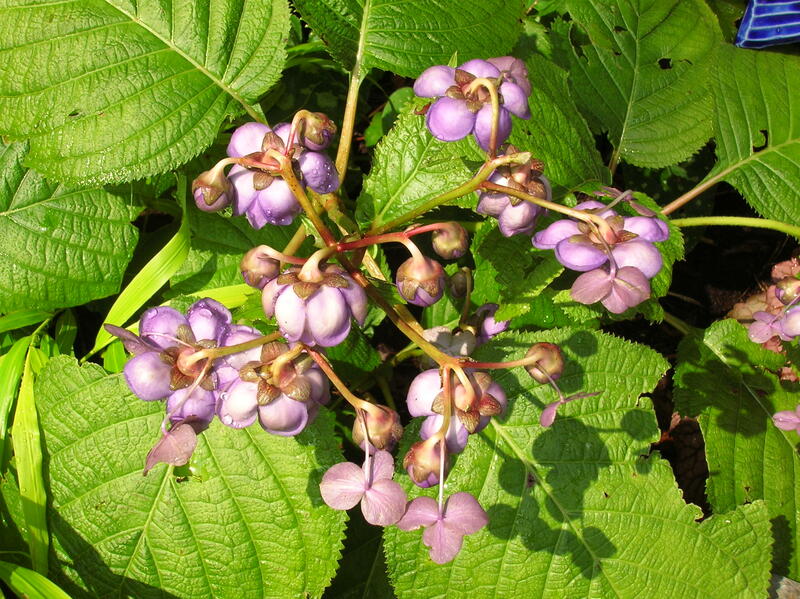 There seems to be no common name (other than “false hydrangea) for this lovely addition to any shady garden. Deinanthe caerulea forms a mound of crinkled foliage that spreads slowly and grows to about a foot high. Come summer, downward, nodding heads of deep blue grace this elegant plant. Grow it where hot sun cannot scorch it and provide rich, well-drained soil with plenty of moisture. Especially cold-tolerant, it is hardy to Zone 4. Pruning and deadheading perennials not only helps to clean and neaten up the garden, it might well mean a repeat bloom. 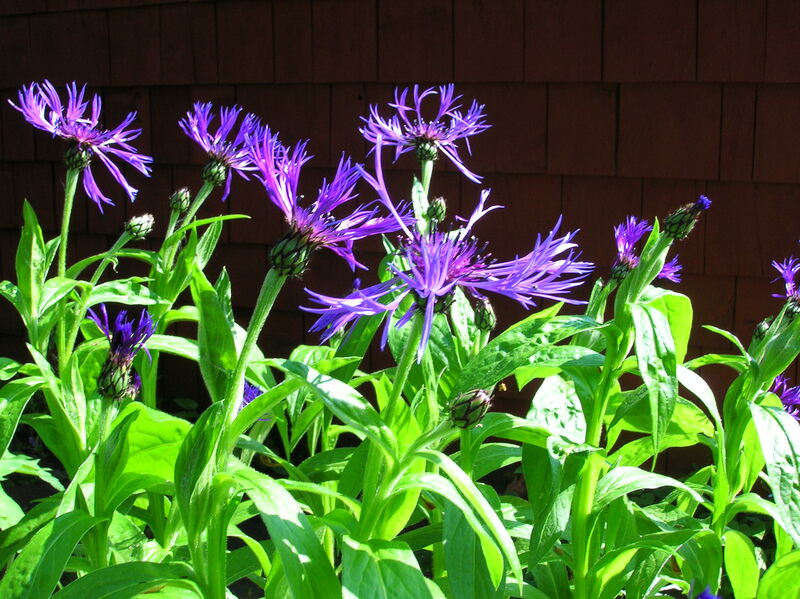 Take those perennial bachelor buttons that finished blooming recently. If yours flop like mine do, trimming them back by about two-thirds will do the trick to get those stalks off the ground. 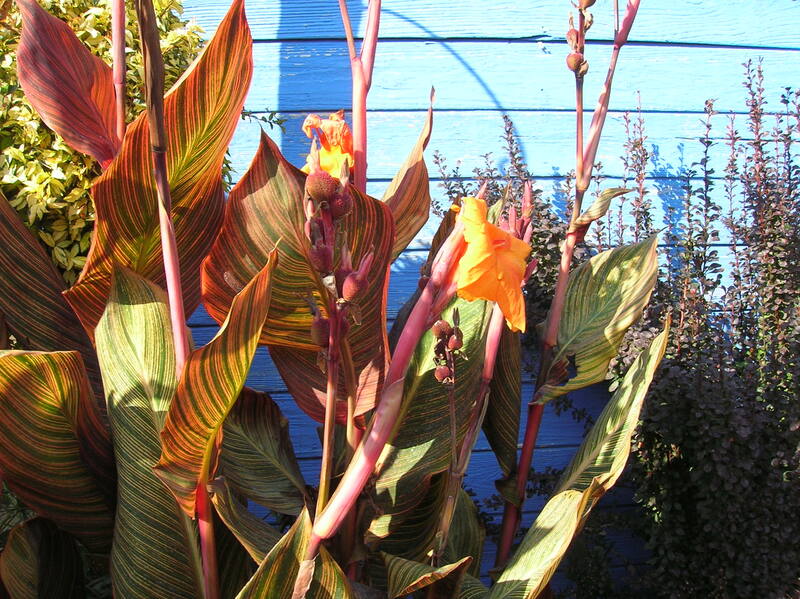 Often these colorful plants will set new buds when pruned mid-season. And there’s another benefit from deadheading perennials like pulmonaria, bachelor buttons, lady’s mantle, goat’s beard and others — it will help prevent unwanted seedlings all over the flower beds.